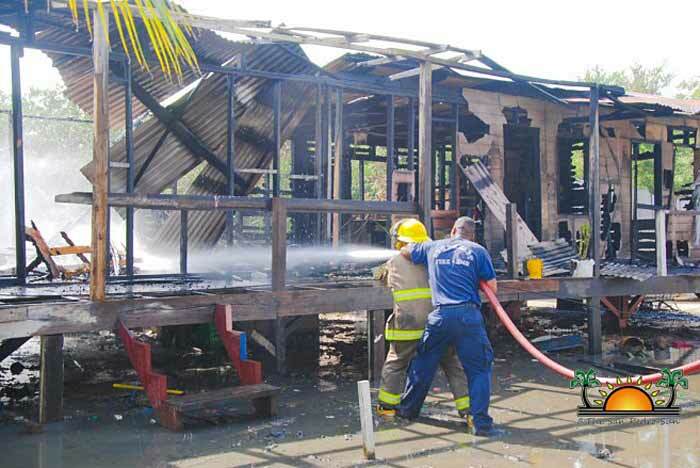 A residence located in the San Juan Area near downtown San Pedro, was destroyed by a large fire on Sunday, February 5th, shortly after midday. The San Pedro Fire Department (SPFD) responded quickly to the distress call shortly after 12:45PM, and extinguished the blaze without any difficulties. Even though there were no injuries, not much of the wooden structure could be saved. Neighbours near the area reported that the fire ignited so rapidly that it was impossible to save any items from inside the house. They commented that they are uncertain as to what happened, since minutes before the fire, everything seemed normal.